To read the first instalment of this article on Ellena, to be published in September 2008 in the French art magazine Particules, click here. “To create is to interpret odours by changing them into signs, so that these signs convey a meaning; the smell of green tea becomes the sign of Japan, flour the sign of skin, mango the sign of Egypt.” (from Que Sais-je? Le Parfum). His aesthetics is that of the shortcut: to produce the maximum effect with the least amount of compounds. His colleagues may be the only ones able to fully appreciate his technical virtuosity (which may be why he likes to exhibit his tricks with synthetics to the media). He uses his deliberately pared-down vocabulary – over the years, his palette has gone from 1000 to 200 ingredients – to compose ever-shortened formulas. Which has the added advantage of simplifying the supply and manufacturing processes. This method is all the more obvious in the Hermessence that they are composed of single accord, spelled out in their name: Rose Ikebana, Poivre Samarcande, Ambre Narguilé. 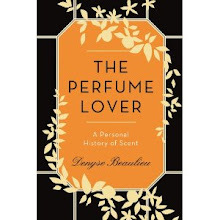 Thus, the customer not only feels smarter, but he can also understand the link between this style of perfumery and certain movements in arts and design. Elitist, but easy to figure out: again, smart move. Some scents of the line are magnificent: Osmanthe Yunnan, which sets off the apricoty Osmanthus flower with Chinese tea to create a milky effect; Vetiver Tonka, which warms up the slightly earthy, sweaty smell of vetiver with the hay, hazelnut and tobacco notes of the tonka bean. But this slimmed-down style is sometimes over-refined, to the point of fleshlessness. One more step, and there’s no more fragrance. If Jean-Claude Ellena rejects the abstract accords of classic perfumery, he also denies reproducing nature as it is. Since his first great successes – such as Bulgari L’Eau Parfumée au Thé vert in 1992, a rendering of the smell in the Mariage Frères tea shop – his olfactory watercolours have nevertheless been hieroglyphic reconstructions of atmospheres. Ever since he’s been signed up by Hermès, this genesis in reality is duly documented, which reinforces the readability of his fragrances, while adding a touch of exoticism. Chandler Burr’s The Perfect Scent retraces an unwittingly comic episode. Looking for inspiration for Un Jardin sur le Nil, Ellena flies off to Aswan with the Hermès team, a photograph and a film crew hired to immortalize his eureka moment. But though Ellena sniffs anything that passes under his nose, he can’t find… Until he is saved by the smell of a green mango during a cruise on the Nile. He already experienced a similar epiphany for Un Jardin en Méditerranée, when a girl tears up a fig leaf to breathe in its fragrance. It happened again with Un Jardin après la Mousson: he has to travel all the way to the lagoons of Kerala to find the flower that will allow him to “put rain into a smell”. Is this quest for in situ inspiration imposed on Ellena in order to create a narrative authenticating the relationship between his composition and the annual aquatic theme picked out by Hermès (the Mediterranean, rivers, India)? He might as well have staying in his Cabris lab: wherever he goes, Ellena always does “eau d’Ellena”. 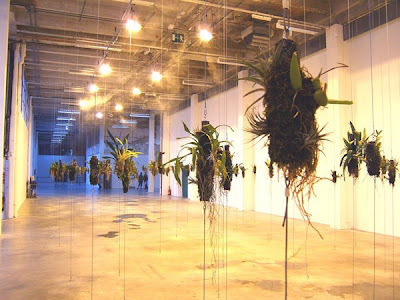 Image: From the Tropico-vegetal exhibition at the Palais de Tokyo, Paris, June 2006. It is good to be true to oneself; it is good to have a personal stamp. That said, sometimes, one might just break all the rules, because you can ! Oh, I., that fantasy belongs in Kraft-Ebbing... ;-) But wouldn't you want to wallow in Maurice Roucel's luxurious mustache? Stella Polaris, I think JCE's concept remains firmly within the confines of representation, albeit stylised representation: more Matisse than Duchamp, say. Modern, not post. It just so happens that he's the first perfumer since Roudnitska to formalize his approach in writing for mainstream audiences. So that he automatically becomes the spokesperson for contemporary perfumery. But he's not necessarily the most cutting-edge. Interesting technical approach but he 's so absorbed by extreme minimalism and hesperedic strident topnotes his scents are cold and totally void of personality and emotion. thank you for this fascinating article on JCE and his aesthetic/process/image. 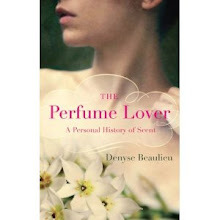 I agree that it would be nice if other perfumers had a chance to talk about their methods, too. I do appreciate JCE's ability to describe his modus operandi to a general audience, and like that he doesn't shy away from discussing synthetics. I think it's interesting to make the comparison to Edmond Roudnitska, who, while advocating for streamlining of formulas, certainly could not be accused of producing "bloodless" minimalist compositions. Though I have not been able to sniff vintage versions of much of his work, it seems that this urge to streamline produced in his case a certain clarity and legibility to his compositions -- the main accords are projected with a kind of radiant clarity, edges clearly outlined and well-lit. Which brings me to JCE, and the fascination he reportedly has with Roudnitska's Eau D'Hermès. It seems to me that his Déclaration for Cartier and Cologne Bigarade for Frédéric Malle explictly pay hommage to the fantastic Eau D'Hermès, spicy and animalic. Both have a certain richness to them, all the while maintaining legibility and transparency. I also find it interesting that in the three fragrances JCE created for The Different Company, for which I'm assuming he had free creative rein, he builds structures with his trademark transparency, yes, but with the inclusion of animalics that transform them into skin scents, rather than staying in the realm of the ethereal (Rose Poivrée is the obvious example, but even the very transparent and light Divine Bergamote has this characteristic). Similarly, his L'Eau D'Hiver (possibly my favourite of his work for Frédéric Malle) has a bit of this warmth going on. Which leads me to wonder whether the watery-transparency of his Hermès work and supposed bloodlessness might not be entirely driven by his personal aesthetic, but by the direction that Hermès is choosing to go? ...all speculation on my part, of course. E., I wouldn't say that any of JCE's fragrances are void of personnality: he's got his own, distinct "écriture". And only the Jardins series is hesperidic in the top notes (not counting Divine Bergamote and Cologne Bigarade). I would say there's more than technique at play here: a definite aesthetics. Jarvis, it's hard to tell. It may be a directly JCE himself wishes to go in, another phase in his style. Certainly the Jardins series is a Hermès idea. With Kelly Calèche, he stated in an interview that he couldn't possibly redo a leather in the usual way, that he didn't see the point. There may be a dimension of the artist's pride in finding new solutions to express classic themes. And he's definitely trying to define that way of rewriting them (somehow, this makes me think of Chérault-Boulez re-staging the Ring cycle in Bayreuth in 1976, cutting out notes and pomp, giving us a new vision of Wagner's opera: certainly, that was an epiphany for me). Carmencanada, do you know how successful JCE compositions for Hermes are? I don 't see Kelly Caleche at Sephora anymore but they still had Nil the last time I was there. I thought Kelly Caleche was a remade remodelled Rose Ikebana, same harsh fruity hesperedic topnotes but at least the leathery floral is interesting making it an improved version of Ikebana. Emmanuella, I only saw the Chéreau-Boulez production of the Ring on TV, a couple of years after it was staged, in the late 70s. No idea if it's available. And I don't have any numbers on Hermès sales. I quite liked Kelly Calèche, though not enough to buy a bottle. It's a rainy smell to me.